Hours: Monday – Friday, 8:00 a.m. – 5:00 p.m., Open Gym: Monday – Friday 4:00 p.m. – 7:00 p.m. 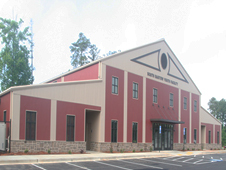 The South Bartow Youth Recreation Facility is a division of Bartow County Parks and Recreation with the mission of serving the Allatoona Community. We believe that the youth is the center piece of a community, who represent the next generation of community leaders, and members of society. Weekend programs such as guest speakers, specialized athletic days, and arts and crafts will be frequently available, as well as daily open gym sessions after school. In addition to the gymnasium, Bartow Carver Park is also utilized for additional programs, events and sports.